The body lotion is packaged in a 250 ml plastic bottle with push cap. 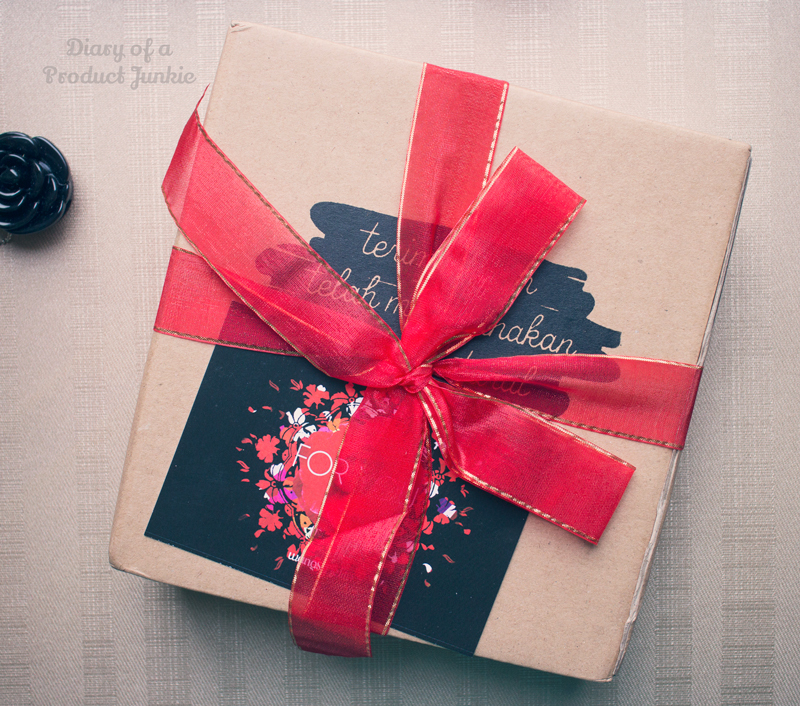 The label has a picture of a red rose along with the complete description and ingredients list at the back. Have I told you that I love the dispenser? It doesn't require me to screw the cap back on after using it. 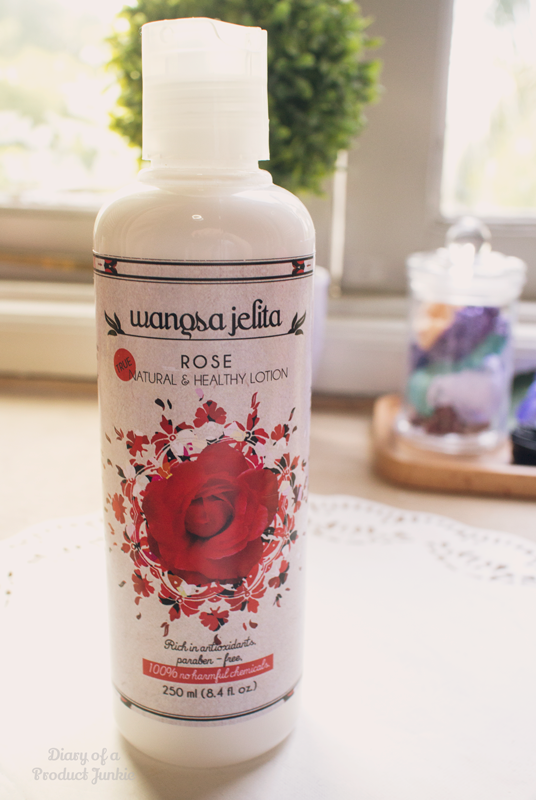 Wangsa Jelita Rose body lotion uses ingredients that are considered safe for the skin. Rose water extract and castor oil is the second and third ingredients in this body lotion, contributing to a floral, relaxing scent. For those looking to try out products that are paraben-free, give this one a try because it doesn't use any parabens. Once out of the bottle, I can immediately sniff the rose scent occupying the room. It isn't too strong, but just the right amount of scent for everyday use. 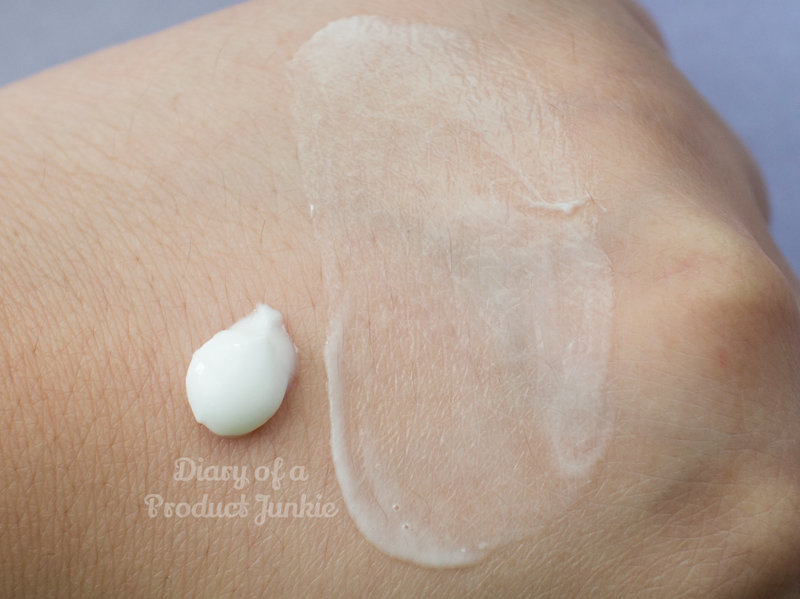 The creamy white lotion spreads easily all over my arms and legs, without leaving any greasiness or stickiness afterwards. 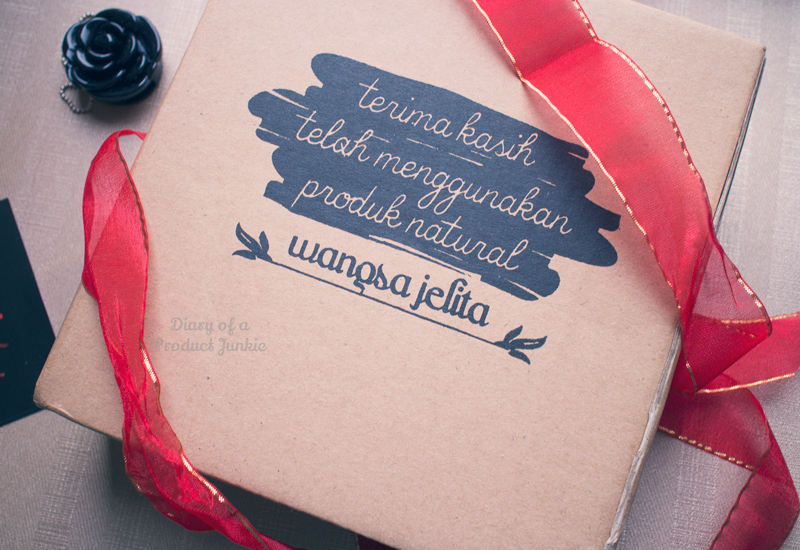 To sum up, this non-greasy lotion is suitable for those who have normal-dry skin that likes floral scents. 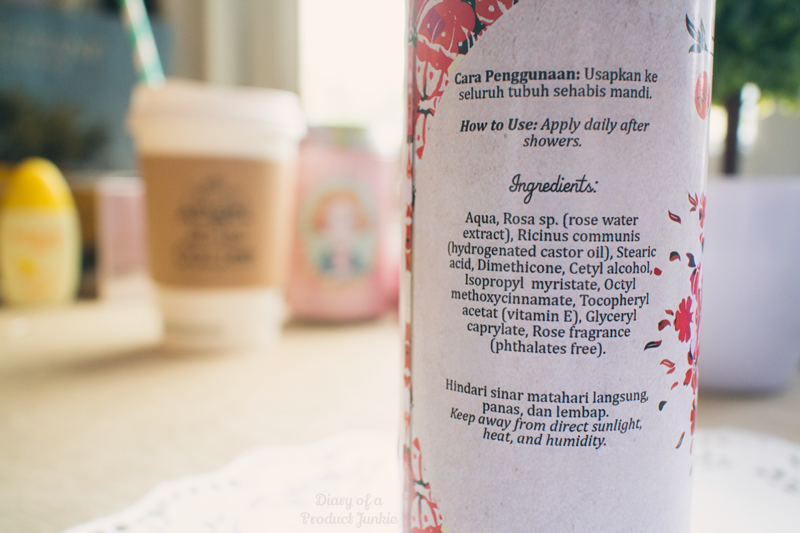 I like that it uses rose water in the ingredients because of its beneficial properties to the skin. 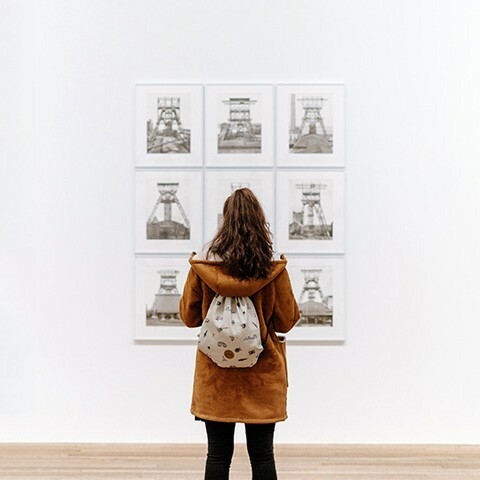 If you would like to know more about this brand, check out the information below, okay?